Vector illustration of a group of colorful birds. Urban skyline with tall utility poles and many crossing wires. Small bird silhouettes on the electricity wires. Birds in all the colors of the rainbow in the front. Free vector illustration for all kinds of posters, wallpapers, clothing prints and article illustrations projects. 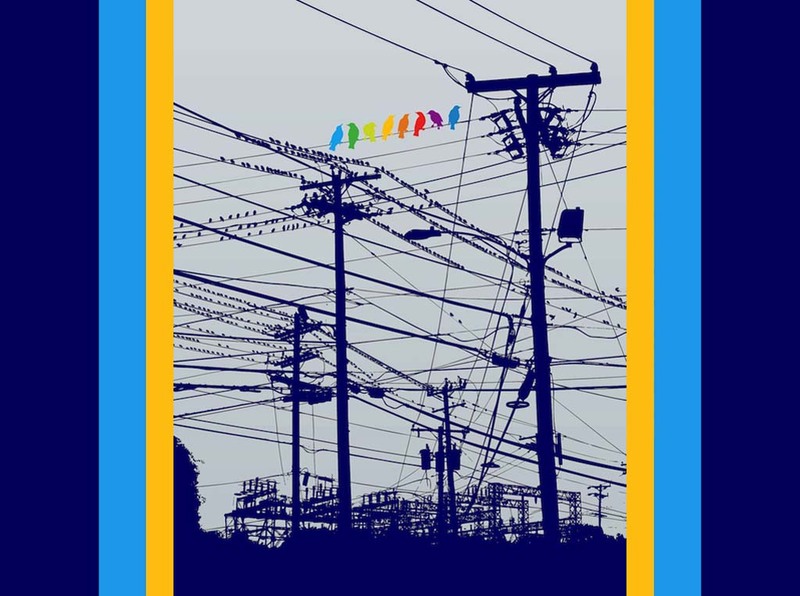 Tags: Animals, Bird On A Wire, Electricity, Rainbow, Urban, Utility Poles, Wires.